Il Caberlot wine is a Tuscan IGT wine only found in the Chianti mountains of Valdarno. If you think this post is going to be about a cellar blend of Cabernet Franc and Merlot, you are in for a surprise. Caberlot wine is far more exciting than that. 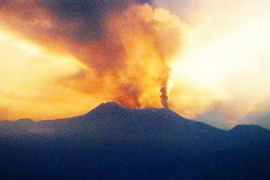 The story of Podere Il Carnasciale and its Il Caberlot grape is fascinating. 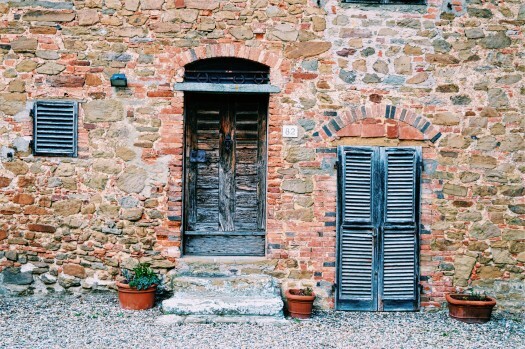 I touched on it in my post, Italy Wine Country Travels: When Tuscany Calls. In that I promised more information on some of the producers visited during the trip. I had to start with Podere Il Carnasciale given the cult-like following of its Tuscan IGT wine, made from the unique Caberlot grape. Oh, and because my U.S. readers can get early access to it now (details at the end). The view from Podere Il Carnasciale. The farmhouse sits atop the southern Chianti mountains in the Valdarno region of Central Tuscany, 30 km north of Siena and Arezzo, and 60 km south of Florence. 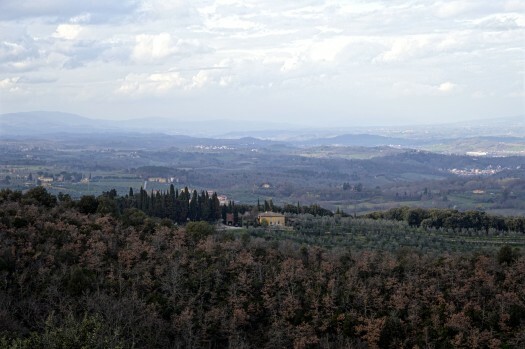 Podere Il Carnasciale is situated high in the southernmost Chianti hills. You drive into Valdarno, then up, up, up to the secluded hilltop estate that has been owned by the Rogosky family since the 1970s. When Bettina and Wolf Rogosky purchased the property there was no road and no vineyards – just olive trees that the government would not let them remove. Wolf’s dream of making wine in the Valdarno hills had to wait until those olive trees froze in the bitter winter of 1985. The space was replanted with vines. Wolf and Bettina did not want traditional or even international grapes. They wanted something as different and unique the property. All alone in the middle of nowhere – with a house number! 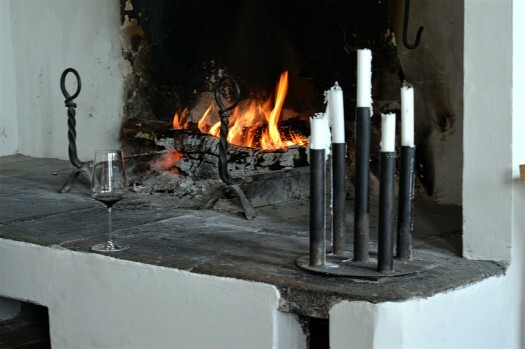 Podere Il Carnasciale is a secluded estate high up in the hills of the Valdrano region of Chianti. Our visit to Podere Il Carnasciale was hosted by Bettina and Wolf’s son, Moritz. He explained his father’s vision and passion with great enthusiasm. It’s clear he carries his father’s torch proudly. The Caberlot grape was found in the late 1960s near Padua in an abandoned vineyard by agronomist Dr. Remigio Bordini. The Caberlot variety showed the organoleptic characteristics of Cabernet Franc with an ampelographic profile that more closely resembles Merlot. That in mind, the grape is believed to be a natural, spontaneous cross of the two varieties. Il Caberlot is not a blend. It is a single grape variety, which appears to be a true crossing of Cabernet Franc and Merlot. Because so little was known about the grape in terms of its resistance to or potential for disease most winemakers shied way from it. Moritz said the unknown is exactly what attracted his father to it. Wolf met Dr. Bordini and enologist Vittorio Fiore in the early 80s. By 1986 the trio planted the first vineyards at the farm Carnasciale with hopes of producing a great wine of truly unique character. The initial planting was a third of a hectare. The first vintage of Il Caberlot was released in 1988 and in 2000 they launched the second label, Carnasciale. Both are 100 percent Caberlot grape. Il Carberlot is classified as IGT Toscana as the grape itself is an unrecognized variety – technically it does not even exist. Directly in front of the Podere Il Carnasciale farmhouse is the very first Caberlot vineyard. Depending on vintage attributes (warm, cool temperatures, acidity levels, etc.) the wine may show more Cabernet Franc or Merlot characteristics. We tasted from various 2014 barrels and the Cab Franc was definitely more pronounced at this stage. Sadly, Wolf passed away in 1996 and today his legacy lives on through his wife and son. Bettina and Mortiz, with their staff, have taken the production from that third hectare to a full three hectares spread across four vineyards. True to Wolf’s vision the production of Il Caberlot wine sees limited intervention in both the vineyards and the cellar. All the vineyard work is done by hand – pruning to harvest. No chemical fertilizers or pesticides are used on the vines. Moritz told us that the sanitary treatments are all natural and organic. During harvest Bettina and Mortiz’s team carefully hand select each grape. Yields do not exceed 25 to 30hl per hectare to ensure only the optimum fruit is used in final production. Our motto is what you would not put into your mouth does not go into the wine. Podere Il Carnasciale practices minimalist winemaking to allow the fruit, the vintage, and the distinct character of each vineyard to shine. In the cellar Caberlot vinification is done by vineyard. 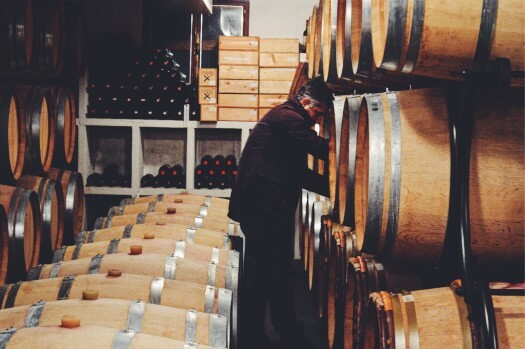 The wines are fermented in stainless steel, then aged in small French barrels. The winery produces just two wines: the flagship, Il Caberlot and second label, Carnasciale. I loved hearing about the process for selecting the two labels. First, it’s important to understand that both wines come from the same vineyard and vinification process we’ve been talking about – right up until blending and bottling. As noted, both the Il Caberlot and Carnasciale wine are 100 percent Il Caberlot grapes. 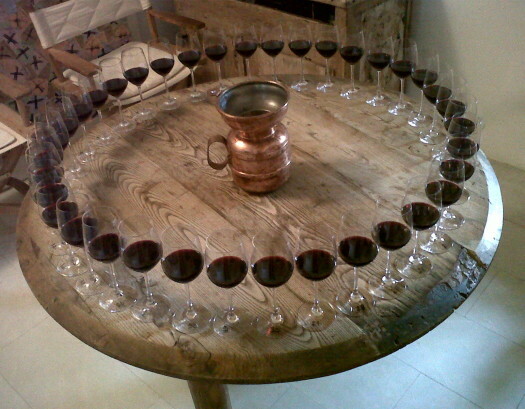 Prior to blending Bettina and Moritz gather with their team to evaluate the wine in each of the 45 barrels. Remember, the wine is still separated by vineyard at this point. The group goes through a blind tasting exercise trying 45 glasses – one for each barrel. Together the group identifies the barrels that show the most structure and complexity. Those requiring more time become the Il Caberlot wine. The barrels showing the more forward, fruit driven wine become the Carnasciale. To select the wine that become Il Caberlot and Carnasciale the team at Podere Il Carnasciale blind taste from 45 glasses – one for each barrel in the cellar. 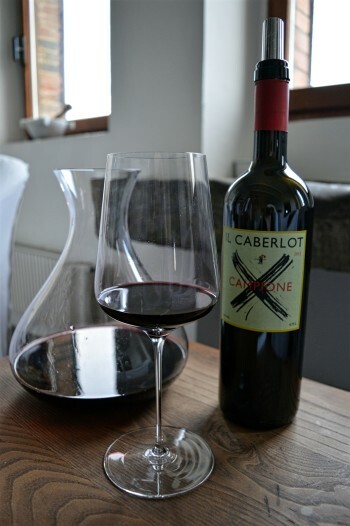 Once the Il Caberlot selection has been made the unfiltered wine is bottled in only magnum (1.5 liters); each is personally numbered by Bettina. After bottling the wine returns to the cellar for an additional 16 months of aging before release. 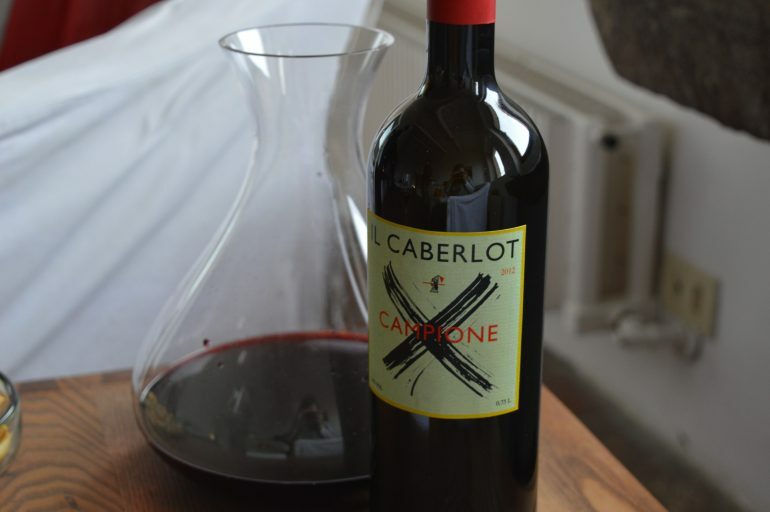 It varies by vintage, but on average Podere Il Carnasciale produces about 3000 bottles of Il Caberlot annually. Allocations of Il Caberlot wine reach 24 countries around the world, making it a treasure for collectors. The Carnasciale is considered a true second label wine because it enjoys the same vinification and care as Il Caberlot. After selection the Carnasciale barrels are blended, then left in stainless steel before bottling in standard 750 ml size. The Carnasciale matures another 6 months in bottle before release. Again, vintage numbers vary, but on average about 6000 bottles are produced. The wines are not the easiest to acquire given the small quantities and global distribution, so they have become a darling of wine collectors and enthusiasts the world over. In the U.S. they are imported by Rare Wine Co. and VinConnect. VinConnect offers a limited number of bottles on early release, just before they hit the main market. 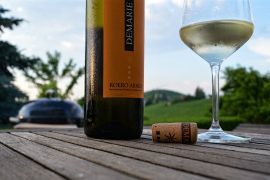 The 2013 Carnasciale vintage distribution recently began in the U.S. with bottles offered through VinConnect until April 5th. The Growing Season: 2013 started with much dryness, turning into a wet, rainy winter, spring, and summer. 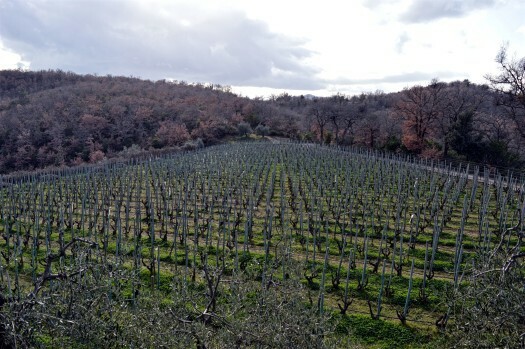 Despite the conditions the area experienced low humidity from north winds; that meant increased vegetation and more vineyard work, but high quality acidity. Tasting Note: The 2013 Carnasciale wine features powerful aromatics and a long finish. The palate shows red fruits, minty herbs, and characteristic spice. U.S. readers: Order your 2013 Carnasciale here or by calling +1.415.846.9844 (quantities are limited; 12 bottles per person). Click to sign up for VinConnect’s Il Carnasciale mailing list. Incredible hospitality at Podere Il Carnasciale. We could have sat by that fire all day. If you are headed to Central Tuscany make a visit to Carnasciale to taste Il Caberlot wine. Contact them directly to book an appointment. What are some of your favorite obscure wines? Please share – we love tasting the unique stuff! What is up with the Chianti Classico Black Rooster? Wine Pairing Weekend Preview: #SummerOfArneis is coming up! I love crazy, passionate winegrowers, and it looks like you found one! Every once in a while someone will do a tasting of Caberlot here in Minneapolis, but I haven’t had the opportunity. My favorite under-the-radar crazy Italian winery would be Camillo Donati in Emilia Romagna. Skin fermented sparkling Malvasia? Sure, why not? Not familiar with the Malvasia, but sparkling is always up out alley! Definitely going on the list. I hope you give the Caberlot a try one of these days. It’s lovely! Excellent! I have heard a bunch about Caberlot, but never had any. Thanks for the wonderful write-up! Thanks for reading! Highly recommend giving it a try. Hadn’t heard of caberlot and it’s strange that they don’t even have it as a recognized variety. Hope to try it some day. Love the owners passion to work with it because of its rareness. 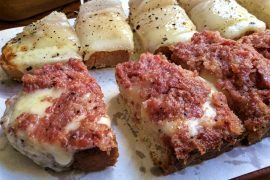 Def worth a visit on your next visit to Tuscany!